Explanation: What's happening in the centre of spiral NGC 5033? Many things -- some circular, some energetic, and some not well understood. NGC 5033 is known as a Seyfert galaxy because of the great activity seen in its nucleus. Bright stars, dark dust, and interstellar gas all swirl quickly around a galactic centre that appears slightly offset from a supermassive black hole. This offset is thought to be the result of NGC 5033 merging with another galaxy sometime in the past billion years. 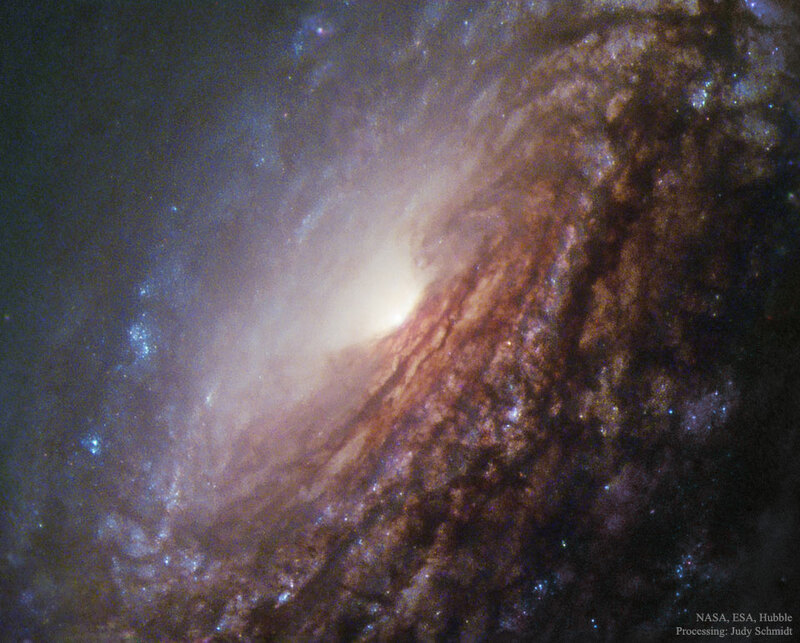 The featured image was taken by the Hubble Space Telescope in 2005. NGC 5033 spans about 100,000 light years and is so far away that we see it only as it existed about 40 million years ago.